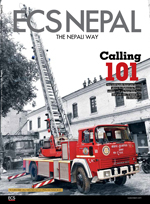 All discerning Nepalis including professionals, businessmen/women, students, etc. Foreign missions, INGOs, star hotels, travel agencies, art galleries, etc. 20,000 copies with the readership of approximately 80,000.